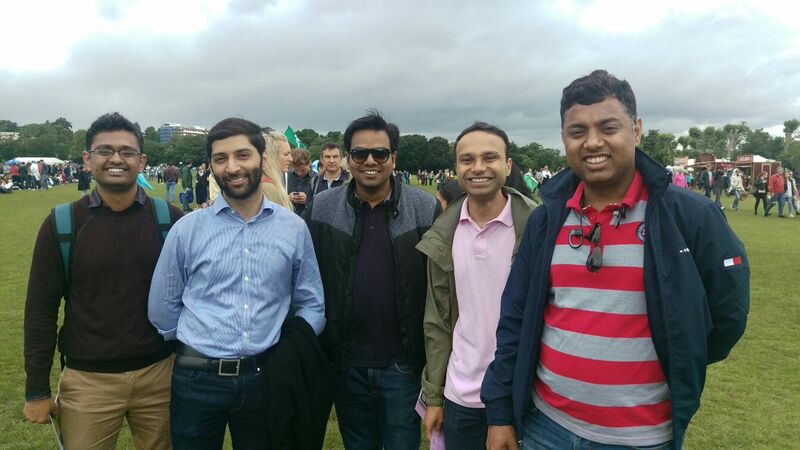 Wimbledon is not just any tennis tournament but its a experience. A large number of tickets for the tournament are sold on lottery for which you need to apply by post in advance by December in a ballot process - something that extremely confusing and is beyond the discipline of the husband and me, both. So unless you are Sachin Tendulkar who miraculously shows up with a finale ticket at the centre court every year, the only other affordable way to get the tickets is to queue. 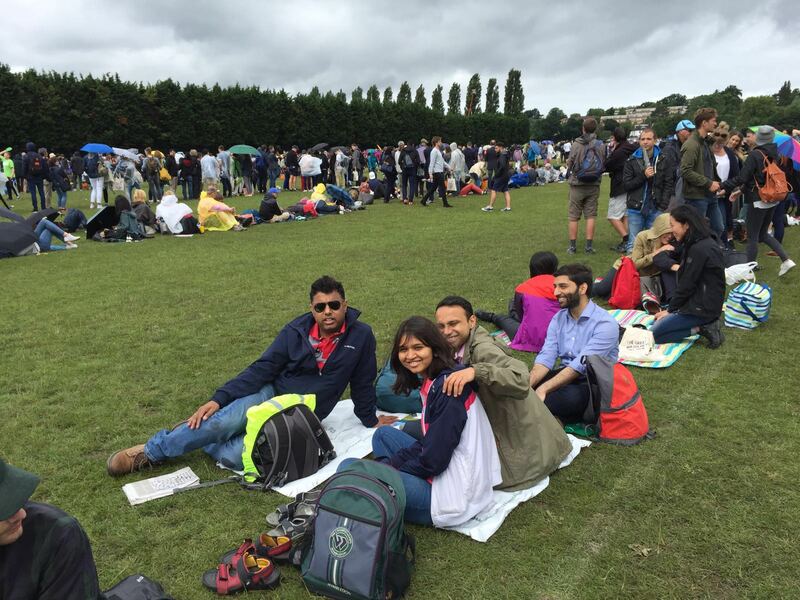 Wimbledon is one of the few major sports in UK where one can still buy the premium tickets on the day of play and its pretty fun queuing. A limited number of tickets are available daily for Court 1, Court 2 and the Centre Court except the last few days of the tournament. Queuing is such an integral part of Wimbledon and is often referred to as - 'The Queue for the The Championships' and it has pretty strict rules as well. 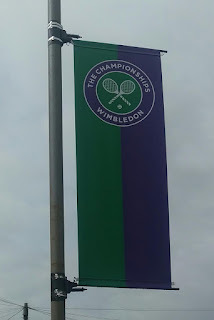 The approval - The plan for the Wimbledon starts with choosing a right day when you hope that the sun gods would shine upon you - which in London is almost an impossible task. Now the husband being a keen follower of almost every sport on the earth and specially Tennis, kept moving the day by studying the rain forecasts. Eventually, he settled on Friday. Considering that I am not a doctor who saves any lives, getting a day off should be a very easy task no ? Wrong. Apparently the fate of the whole bank whose shares are already trading at a pretty low price rests on me showing up at work. Finally after many meetings armed with power point proposals on who can help save the bank in my absence for a day, my leave was approved. 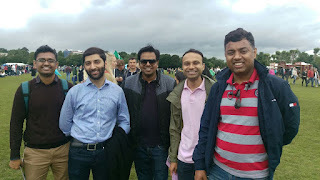 The Group - There are plenty of ardent tennis fans who show up on their own however we Indians like to flock in groups. I think the fun of queuing just multiplies with the number of people, the quirkier the better. So the husband, his colleague (lets call him 'Gluten Free (GF)'), two of my colleagues (lets name the first one as 'Head of the IT non-cooperation movement - Head' and the other one as 'Thakur'), friend of the IT Support ('Protector of the IT realm' - POITR) and I, we all paraded to the All England Lawn Tennis and Croquet Club (AELTC). More on these names later. Planning the route - The husband usually always has a plan and in this case knew exactly when to get there and how. 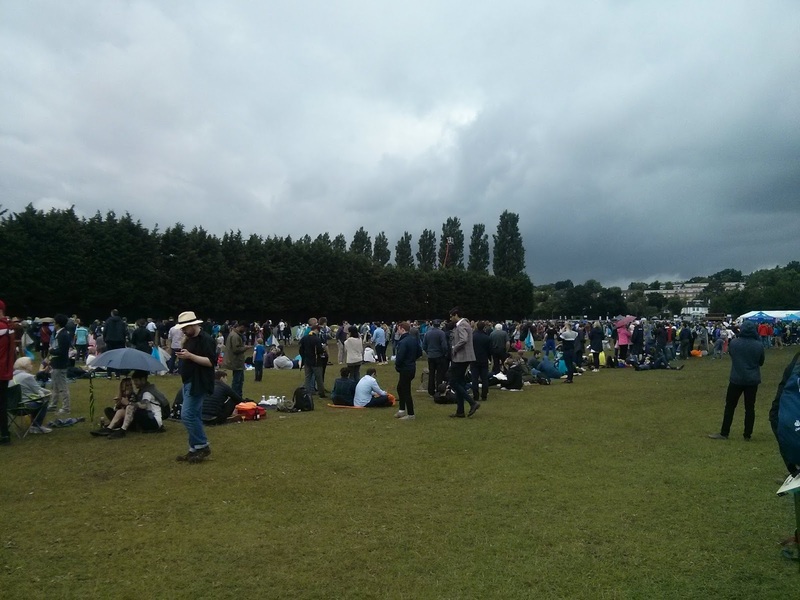 There was much discussion on when to reach the grounds for queuing. The really really ardent fans start queuing the day before - which means they basically set up tents and camp overnight. There is a high probability that you will get tickets to the show courts if you camp. There is a second lot who arrive around 5 am the same day, and they almost surely get in and watch matches on court 3 to 19 but if they are lucky, they also get tickets to the show court. The husband vetoed both the options and explained that we needed to start at 830 am sharp. This was a feat in itself - getting 6 Indians living at different places to get to a place in time. So everyone except the Gluten Free (who lives in Waterloo - not sure how they came up with the name because none of the loos here have water but I digress) decided to meet at the Canary Wharf station on the platform. Now anyone who has lived in Mumbai and travelled in the local trains in the era without cell phones would have atleast, once in life, used the best meeting point on the platform - 'below the indicator'. Now the 'Thakur' who is from Delhi could not fathom this concept and later on used this excuse for being late even though the platform is barely 200 metres with just 2 indicators. Mind the gap - 'Mind the Gap' is an announcement often heard on the tube network to warn the commuter of the one feet black hole between the tube and the platform. Sometimes, so big is the distance that it should actually be called a valley, but I digress. Talking about the tube, the AELTC is not very close from the Wimbledon tube station. In fact, its closest from the station called Southfields on the District Line (Green line). So we took the Jubilee Line from Canary Wharf to Westminister. From Westminister, we took the train to Earls Court, then another train to Southfields. We were running late and the odds were against us. Just as we thought that we were getting there, there was an announcement in the tube that the destination of the tube has changed. I mean, coming from Mumbai, I have done numerous mad dashes moving platform to platform because the local train driver thought it would be fun to bring the train onto a totally different platform but ever heard of the train changing the destination !! Anyways, we got down and the Parson Green station and guess what, the whole train was empty, meaning the whole train was going to watch Wimbledon. The next District Line train finally took us to Southfields where Gluten Free was waiting for us. Approach - When you come out of the Southfields, I suggest that make a mad dash towards the Wimbledon Park Golf Club - this is where the queue is housed. Every slow step that you take towards the queue is another 10 people ahead of you in the queue. At Wimbledon, Cash is King. You can only buy the tickets in cash so be prepared. Inspite of clear 'onboarding' instructions given the day before, the 'Thakur' did not have any cash, infact he did not bring anything, not even a bag with water. He had strolled lazily with just a jacket on and hands in his pocket - hence the name bestowed upon him - 'Thakur'. Now Thakur wanted to spend further 5 mins withdrawing cash meaning getting pushed back by atleast 200 people. After much social pressure and absolute disdain showed by the husband, he succumbed and kept walking with us. 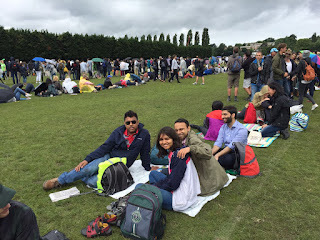 No one wanted to piss off the husband as he was the only one who seemed to be our ticket to Wimbledon. Finally in the queue - When you reach there, you will see a number of honorary stewards who will explain you the process of queuing. The first thing you should do is go to the steward who holds a big purple flag with a big 'Q' written on it. This is where the serpentine queue is right now and as soon as you spot the flag, go to the steward and beg for the Queue Card. Once you get the queue card, preserve this more than a pot of gold as you will be asked to show this queeu card atleast 2-3 times to make sure you not trying to sneak in. 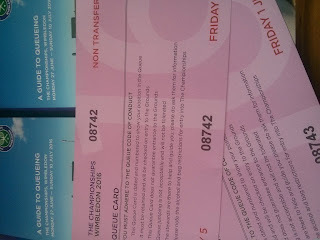 Each queue card has a date and the number - this is your number in the queue and this ticket is non-transferable. Also each person gets only one queue card, so there is no way you can save spots for any other 'Thakurs' who plan to come late. The queue has strict rules and you will be literally given a 'Guide to Queuing' with a queue Code of Conduct. Apart from the usual 'do not jump the queue', the queue code of conduct has some very interesting rules like - barbecues and fires are not permitted or even rules laid out for pizza take-aways or loud music should not be played but use headphones instead. All in all, an extremely meticulously planned and amazingly executed queuing process. Our number was around 8700 and were standing in the K9 queue. The stewards told us that we were 'just above' the ground capacity so that means that when the first lot goes in, the next in line will be allowed in on the basis of 'one out one in' basis. When we asked what was the 'capacity', the only answer we got was we were 'just over' so we let it pass. The husband as always, was fully prepared with enough mattresses for 6 people to rests their bums on so we settled down. This was just the beginning of the much fun-filled day ahead.